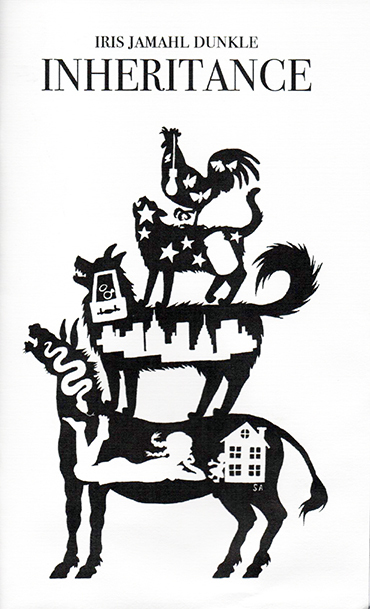 Books on Stage is a reading series originally conceptualized and hosted by Michelle Wing. It launched in July 2014, with readings every other month until November 2015, each event featuring a poet and a prose writer, appearing on the stage at the Cloverdale Performing Arts Center in Sonoma County, California. When Michelle relocated to New Mexico in early 2016, the series was reconceptualized and taken over by new host Janet Vail. It now includes a literary salon after each reading, where the audience can enjoy conversations with the featured writer while sipping on Sonoma County wines. For more information about the series, go to Cloverdale Performing Arts Center. 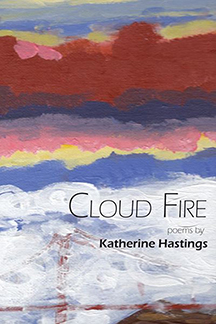 Katherine Hastings is the author of Nighthawks (Spuyten Duyvil NYC, 2014) and Cloud Fire (Spuyten Duyvil NYC, 2012) as well as several chapbooks. Her work has been published in many literary journals and anthologies, as well as The Book of Forms — A Handbook of Poetics, Lewis Turco, Ed. (University of New England Press, 2012). 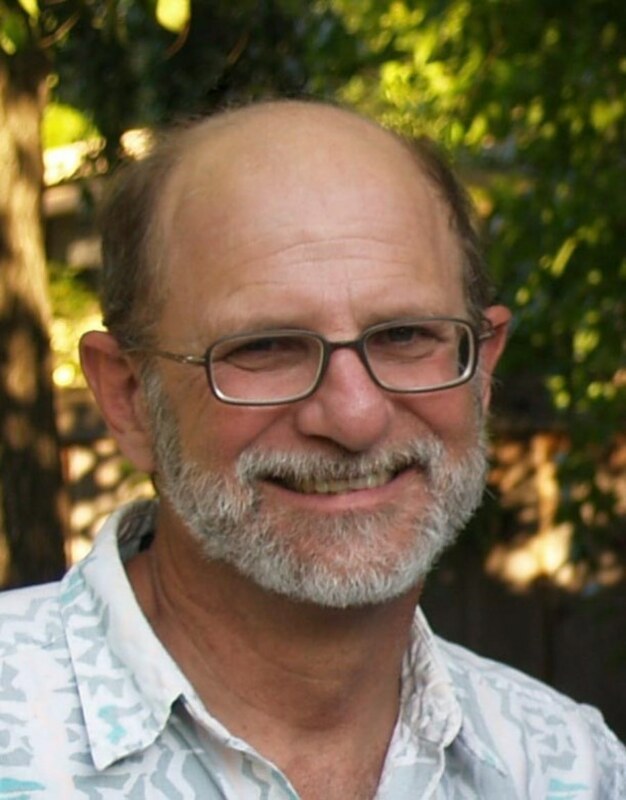 The executive director of the non-profit WordTemple, Hastings curates the WordTemple Poetry Series and hosts WordTemple on NPR affiliate KRCB FM. 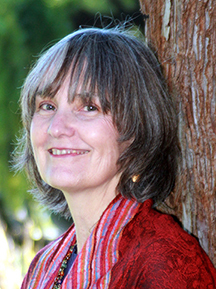 She is serving as Sonoma County Poet Laureate for the years 2014 — 2016. 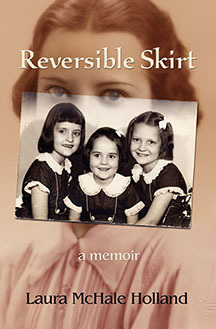 Gilb Mansergh is the prolific author of over 60 nonfiction books and a trilogy of historical novels incorporating family stories. 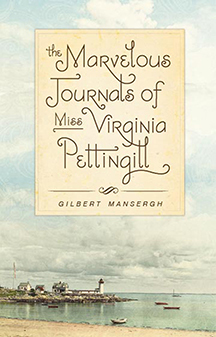 The Marvelous Journals of Miss Virginia Pettingill is currently in bookstores, Hollywood Beau is being edited for publication, and the first draft of Filbert Avenue is nearly complete. Gil’s movie column Screenings appears in the Cloverdale Reveille every other week, and his weekly Cinema Toast movie blog is on the Petaluma Argus Courier and Santa Rosa Press Democrat websites. Gil is also the host/producer of the Word By Word: Conversations With Writers radio show on Sonoma County’s NPR station, KRCB-FM. 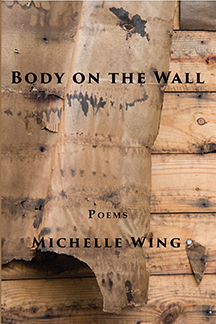 Michelle Wing is a writer of poetry and creative nonfiction. 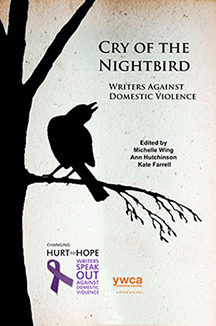 She is the author of Body on the Wall (poems), released by Saddle Road Press in May 2014, and co-editor of the anthology Cry of the Nightbird: Writers Against Domestic Violence, released in October 2014. She is the founder of “Changing Hurt to Hope: Writers Speak Out Against Domestic Violence,” a program at the YWCA Sonoma County which commemorated its fifth year this October. Wing writes a monthly literary column for the online Discoveries section of Sonoma West Publishing called Off the Page. 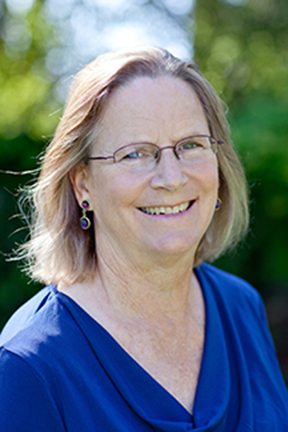 She serves on the board of Redwood Writers, where she is the public relations director, and on the board of the Healdsburg Literary Guild. She lives in Cloverdale with her wife, three dogs, and a ridiculous number of cats, and is aided in all her endeavors by her faithful service dog, Ripley. Amanda McTigue is a storyteller on the page and for the stage. 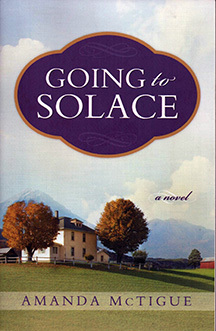 Last fall, at the 2013 Sonoma County Book Festival, her debut novel, Going to Solace, was selected as one of the Best Reads of 2012 by Gil Mansergh, host of Word by Word on public radio’s KRCB—in the astonishingly good company of Pulitzer Prize winner The Orphan Master’s Son. Her works for the stage have been produced in Carnegie Hall, the Minnesota Opera and Sonoma County’s Green Music Center. 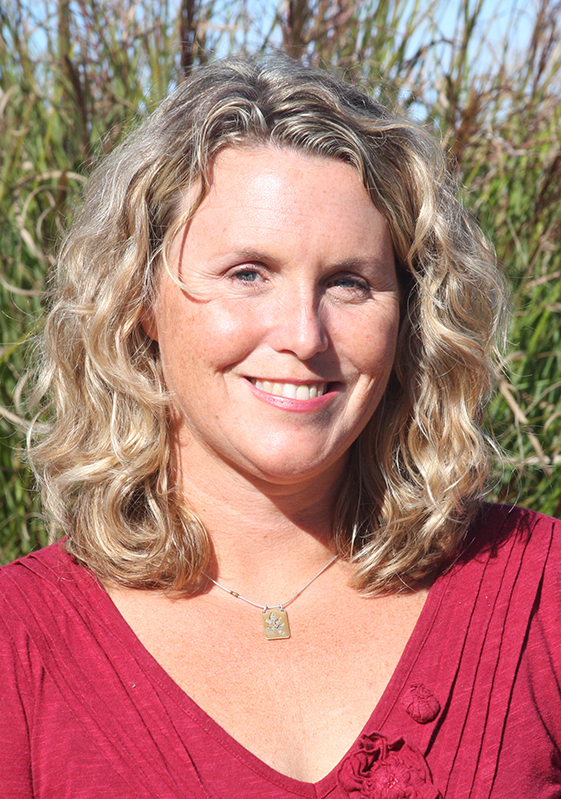 She is just wrapping up a year of teaching critical thinking, speaking and writing at Sonoma State University. She co-hosts the Aqus Literary Speakeasy Saloon in Petaluma and appears regularly as a storyteller at Petaluma’s West Side Stories. A member of the fourth class of undergraduate women at Yale, a stage director and a concept writer for international design firms like Walt Disney Entertainment and Paramount, Amanda considers herself a busy, happy writer. A collection of new short stories—working title, This Is Not Water—and her second novel—working title, Monkey Bottom—are both due in 2015. 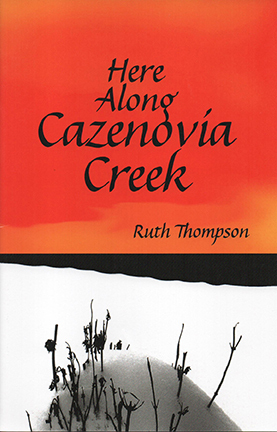 Poet Ruth Thompson is the author of Woman With Crows (2013) and Here Along Cazenovia Creek (2011). 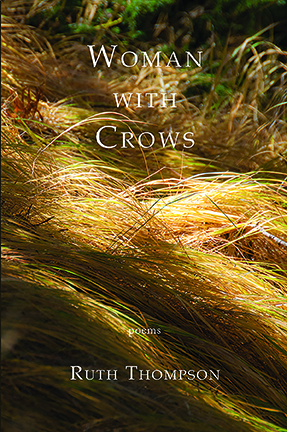 Woman with Crows explored a new mythology of the divine feminine, from encounters with “hungry ghosts” to the fool-crone, “dancing what she does not know to dance.” It was a finalist for the A Room of Her Own Foundation’s To the Lighthouse Prize, and includes poems that won the New Millennium Writings Award and the Harpur Palate Milton Kessler Prize. 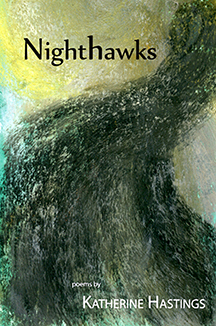 Since Woman With Crow‘s celebration of the aging feminine body, Ruth’s work has increasingly explored the experience of physical and mental dissolution through figures like “The White Queen” and the mad Pythia of “Dementia.” Some of this new work appears in Poetry Flash and Tupelo Quarterly. 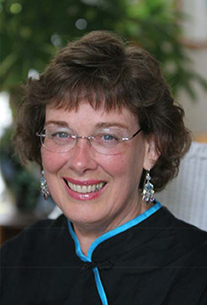 Ruth grew up in the San Francisco Bay Area, and received a BA from Stanford and a PhD from Indiana University. In a previous life, she was a college dean in Los Angeles. She now lives in Hilo, Hawai’i with writer-anthropologist Don Mitchell. She teaches writing, and meditation, yoga, and writing workshops throughout the U.S., and blogs about happiness at www.ruththompson.net. Don Mitchell is an ecological anthropologist, writer and photographer who lived among the Nagovisi people of Bouganville Island in the southwestern Pacific for several years in the 1960s and 1970s, and returned in 2001 after Bougainville’s war of secession. He published an academic book and articles about the Nagovisi, but in the early 1990s returned to writing fiction and poetry. 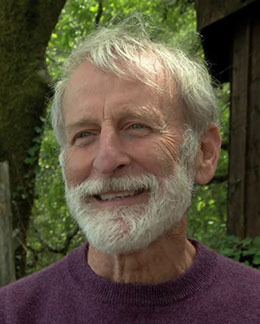 His stories of another culture have won praise from many quarters, including a Pushcart nomination and awards from the Society for Humanistic Anthropology, New Millennium Writings, Green Mountains Review, and other journals. He also publishes online at The Nervous Breakdown. 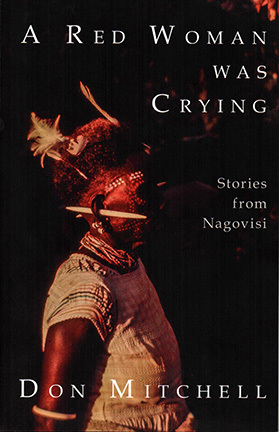 In 2013, his story collection A Red Woman Was Crying was published. It takes the reader into the rich and complex internal lives of South Pacific rainforest cultivators – young and old, male and female, gentle and fierce – as they grapple with predatory miners, indifferent colonial masters, introduced religion, their own changing culture, their sometimes violent past, and the “other” who has come to live with them. The stories demystify ethnography by turning it on its head. The narrators are Nagovisi, and it is through their eyes that the reader knows the young anthropologist, himself struggling with his identity as a Vietnam-era American, who’s come to study their culture in a time of change. 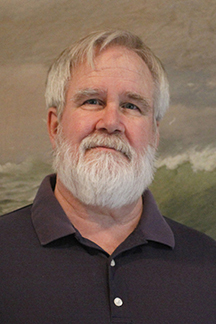 Don grew up in Hilo, on the island of Hawai’i. He studied anthropology and creative writing at Stanford, and earned a PhD in anthropology from Harvard. 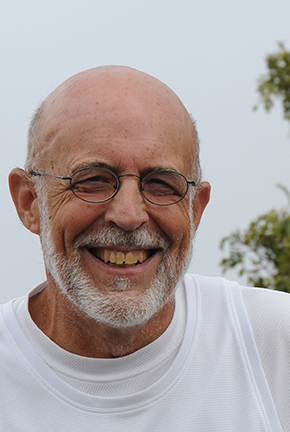 For many years he was a professor at Buffalo State in western New York, as well as a marathon and ultra-marathon runner, and a successful road race timer (Runtime Services). He lived in Buffalo and later in Colden before returning to Hawai’i. He now lives in Hilo with the poet Ruth Thompson. Russ began writing fiction at Wesleyan University with his senior thesis being “Eight Short Stories” (a most unoriginal title). Over the years he continued to write short stories, amassing a fine collection of rejection slips. 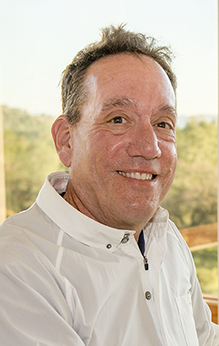 He took a long time out from writing to pursue further education in Education and Psychology (though he did write his Masters and Ph.D. theses). 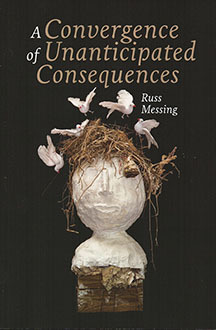 While practicing psychology, Russ wrote a haiku a day for two non-consecutive years, producing two self-published books, Falling Blossoms – A Year in My Life and Arm Writing, both of which he shared with family and friends. In 2001 he began writing weekly with a small group of writers to write short pieces, over the years filling over 1500 pages with his musings and creations. In 2012 he decided to get a little more serious, to come out of hiding, and in 2013 self-published his first book of poetry, A Convergence of Unanticipated Consequences. He is currently working on his second book of poetry. He loves the written word, the way the words give weight to experience, light up the darkness, and lighten the load. 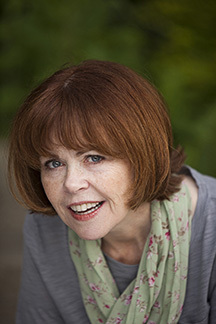 A multifaceted storyteller and indie publisher, Laura McHale Holland is the editor of the anthology Sisters Born, Sisters Found: A Diversity of Voices on Sisterhood, which features writers from every continent except Antarctica. 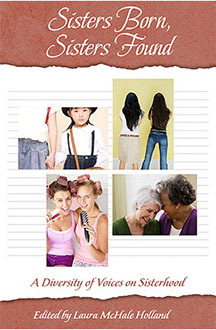 The collection was recently named a first-place winner in the Women’s Issues category at the 2015 Next Generation Indie Book Awards. 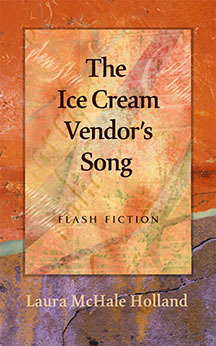 Previously, Laura released her flash fiction collection, The Ice Cream Vendor’s Song, and her childhood memoir, Reversible Skirt, which, in manuscript form, won in the memoir category of the RockWay Press international writing competition and, after publication, earned a silver medal in the 2011 Readers Favorite Book Awards. Laura’s short stories and memoir vignettes have appeared in Every Day Fiction Three, My Gutsy Story Two, Wisdom Has a Voice and several Vintage Voices anthologies. Her poetry was selected for publication in And the Beats Go On. And her play Are You Ready? was produced by Sixth Street Playhouse and Redwood Writers in 2014, as well as shortlisted for the Short+Sweet Sydney 2015 festival. 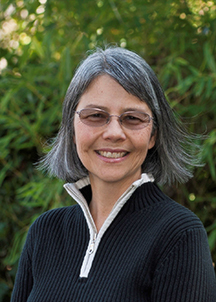 Before moving to Sonoma County in 2004, Laura lived for many years in San Francisco, where she was a writer and associate editor for The Noe Valley Voice, an award-winning community newspaper. She also wrote periodic opinion pieces for the original San Francisco Examiner. In addition, she was a featured story performer at San Francisco’s Asian Art Museum and the Lake Tahoe Storytelling Festival. To become more acquainted with Laura and her work, please visit lauramchaleholland.com, where you can read her blog, learn about her current projects and subscribe to her newsletter, Letters From Laura. 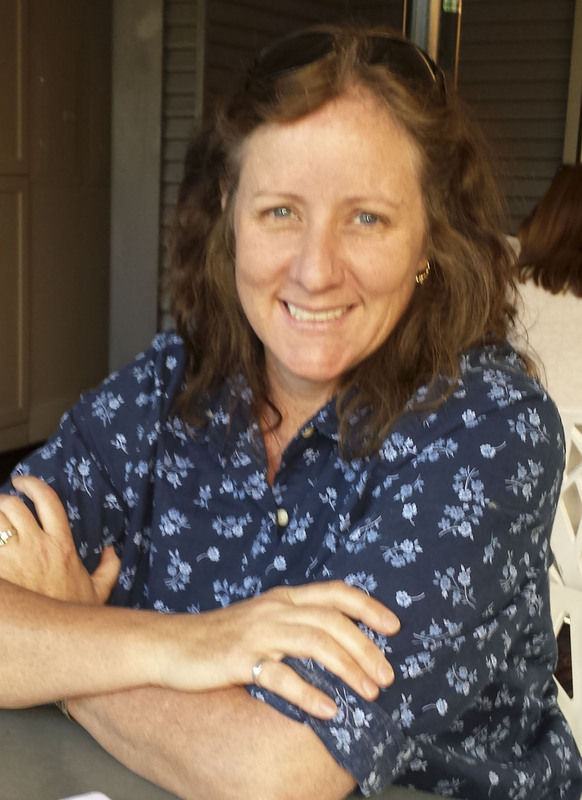 Donna Emerson is a Santa Rosa Jr. College instructor, a licensed clinical social worker, photographer, and writer of poetry and prose. She is the outgoing events chair, Marin Poetry Center. 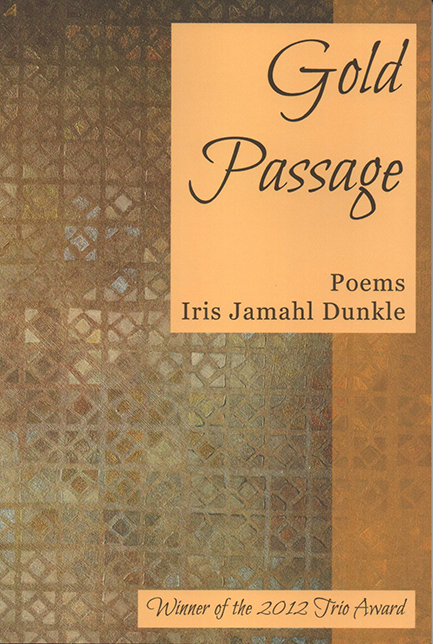 Recent poetry publications include Calyx, The Paterson Literary Review, The Place That Inhabits Us, Poems of the Bay Area Watershed, Praxis (SUNY), The New Ohio Review, Sow’s Ear, Sanskrit, Eclipse, and So To Speak, among many others. Recent prose and photography publications include Passager, Stone Canoe, and Tiny Lights, where she was awarded first prize in the 2010 flash competition. Her four chapbooks include This Water (2007), Body Rhymes (2009), which was nominated for the California Book Award, Wild Mercy, (2011) and Following Hay (2013). 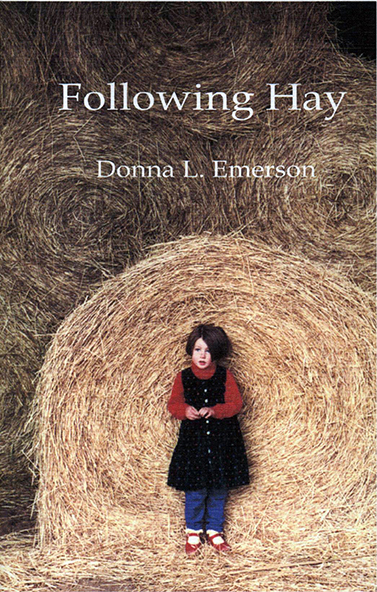 Donna has received other awards from Redwood Writers, the Naugatuck River Review, the California State Poetry Society, the Dickens, and the Labyrinth Society. She has been the featured writer in Darkling and Crone literary journals. She lives with her husband and daughter in Sonoma Country, near her musician son Jared for the California winter months, and her family homestead above Bath, New York during summers. A long time resident of Marin, Susanna Solomon makes her home both in San Anselmo and on Levee Road in Point Reyes Station. She has long been captivated by the sheriff’s calls in the Point Reyes Light. 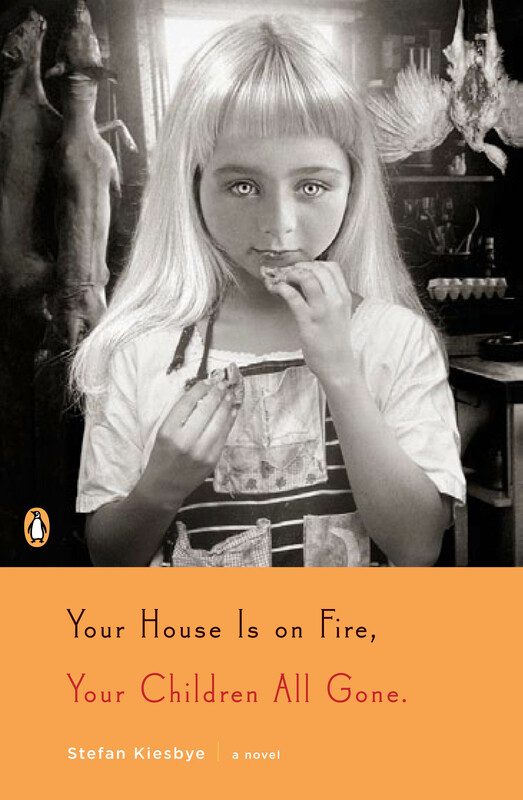 Her collection of short stories – each inspired by one of these calls – was published by HD Media Press in 2013. Come join the fun and meet opinionated Mildred, her long suffering husband Fred, Linda, a well-endowed deputy, Alice, an awkward fourteen year old, and Thomas, 15, who has a hard time staying out of trouble. 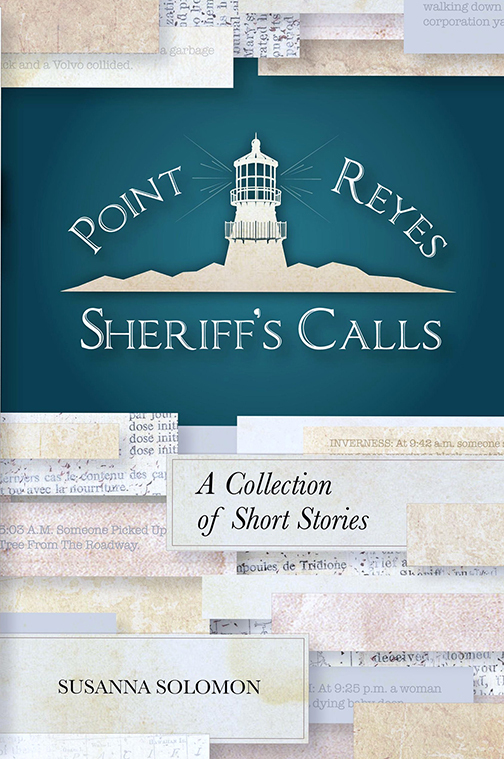 Point Reyes Sheriff’s Calls was on the Marin Independent Journal bestseller list two times in 2014. Go to her website at www.susannasolomon.com for more information. 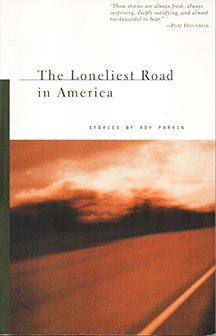 Roy Parvin is the award-winning author of two books of fiction, The Loneliest Road in America and In the Snow Forest. 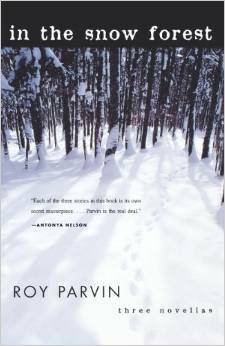 His work has been selected for inclusion in the Best American Short Stories series and has been widely anthologized. He has also been awarded a National Endowment for the Arts grant and a Breadloaf Fellowship. 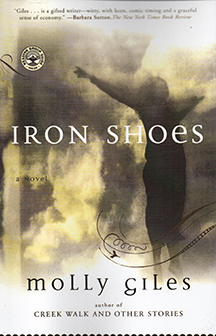 His novella, “Menno’s Granddaughter,” was the inspiration for the movie Voyez Comme Ils Dansent (See How They Dance), directed by Claude Miller, winner of the Jury Prize at the 2011 Rome Film Festival. 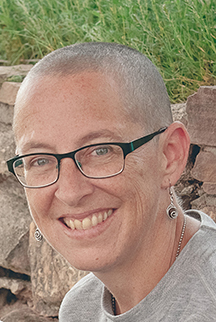 Jodi Hottel’s work has been published in Nimrod International, Spillway, Ekphrasis, Naugatuck Review, Touch, and anthologies from the University of Iowa Press, Tebot Bach, and the Marin Poetry Center. 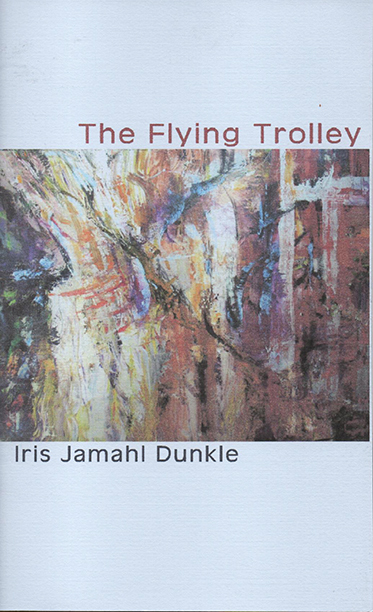 Her work has been nominated for a Pushcart Prize. 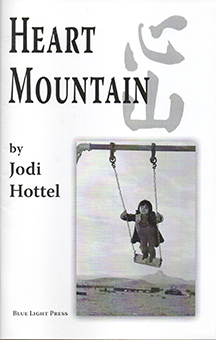 Heart Mountain, her chapbook of poems about the Japanese American internment, was winner of the 2012 Blue Light Press Poetry Prize. 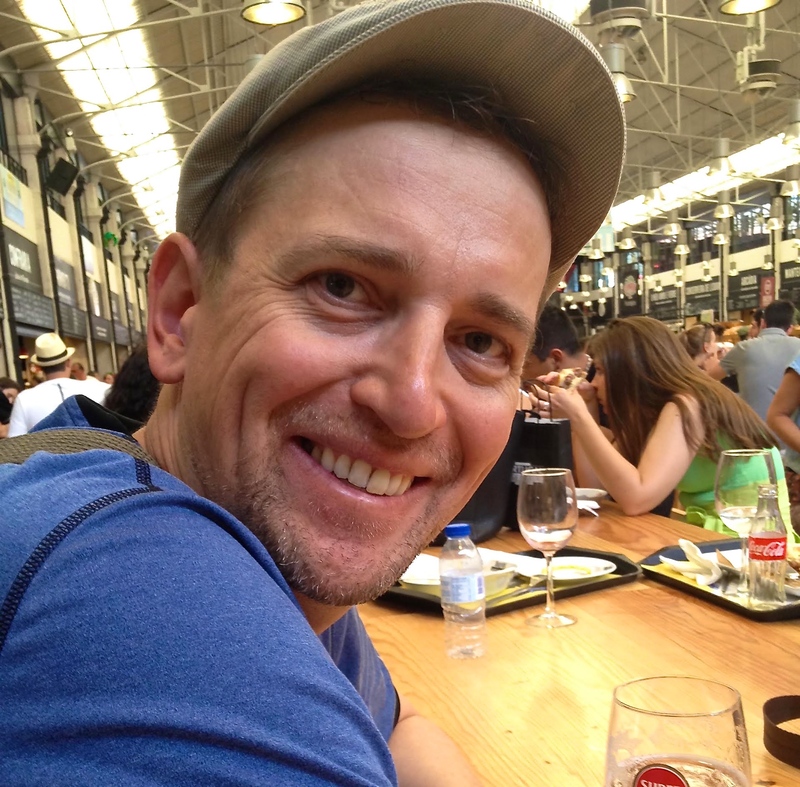 Hottel’s work has been published or is forthcoming in Nimrod International, Naugatuck Review, Spillway, Touch, English Journal, Frogpond, and anthologies from the University of Iowa Press, Tebot Bach, Wising Up Press and the Healdsburg Arts Council. She lives in Sonoma County. 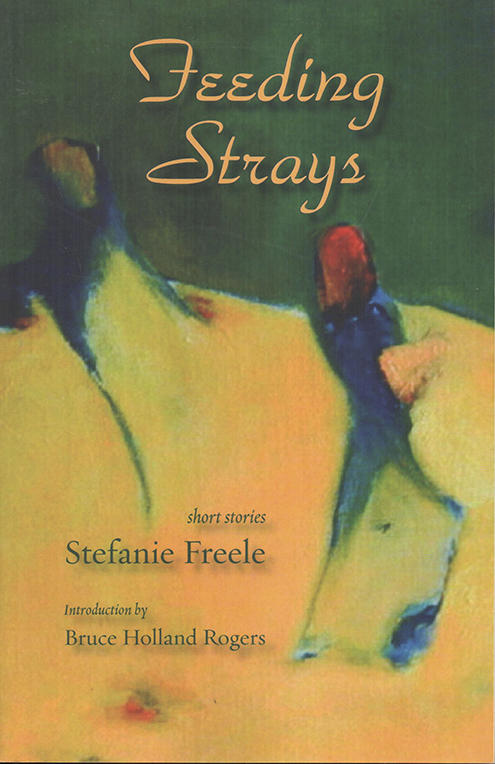 Stefanie Freele is the author of two short story collections: Surrounded by Water (Press 53) and Feeding Strays (Lost Horse Press). 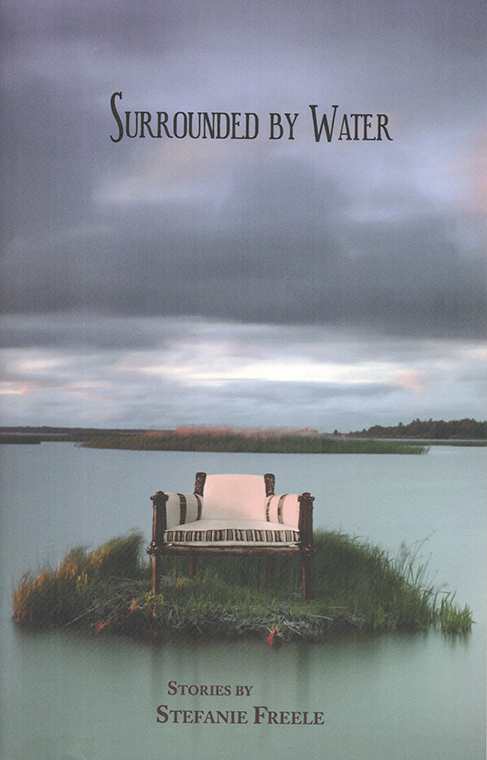 Her story “While Surrounded by Water” won the Glimmer Train Fiction Award and “Us Hungarians” received second place in the Glimmer Train Family Matters Contest. Stefanie’s short stories have appeared or are forthcoming in literary magazines, anthologies and journals including Mid-American Review, Witness,Western Humanities Review, Sou’wester, Quarterly West, The Florida Review, Night Train, American Literary Review and Edge. Her work has twice been nominated for the Pushcart Prize. Stefanie received the Kathy Fish Fellowship from SmokeLong Quarterly, was a writer-In-residence for Necessary Fiction, and is the previous fiction editor of the Los Angeles Review. She holds an MFA from the Northwest Institute of Literary Arts. She was born and raised in Wisconsin and currently lives near a river (but not near enough) somewhat close to the Northwest coast. 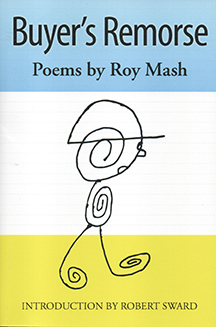 Roy Mash is a long time board member of Marin Poetry Center. He holds degrees in English, Philosophy, and Computer Science, though he currently doodles his time away staring out of café windows, dabbing up the seeds that have fallen from an everything bagel, and mentally thumbing over his poems that have appeared widely in journals such as AGNI, Barrow Street, Nimrod, Poetry East, and River Styx. He is the recipient of the Atlanta Review International Publication Award. His first full length book, Buyer’s Remorse (Cherry Grove Collections), debuted in 2014. 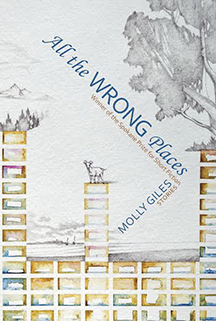 Her newest book, another collection of short stories, All the Wrong Places, is being released in April by Willow Springs Editions. 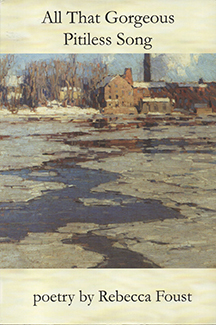 The collection received the 2013 Spokane Prize. Giles taught Creative Writing at San Francisco State and the University of Arkansas in Fayetteville. She currently lives in Woodacre. 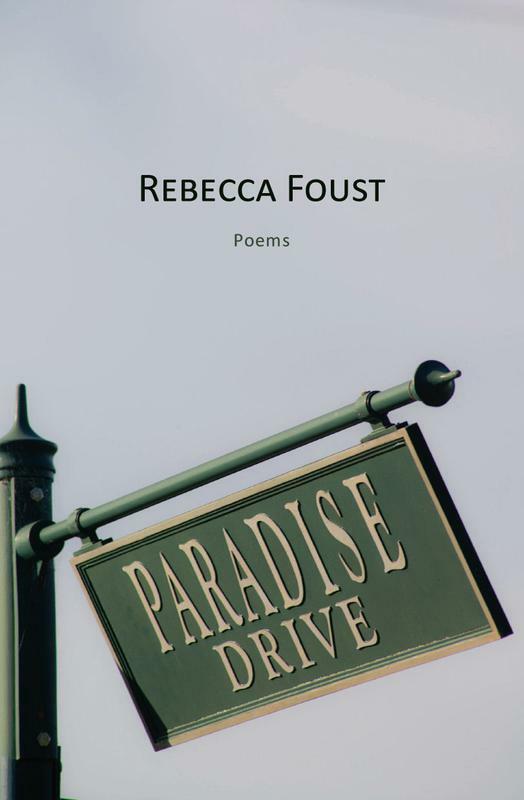 Rebecca Foust is the author of the newly released Paradise Drive, just released by Press 53. She grew up Hollidaysburg, Pennsylvania, a small town surrounded by farmlands and forests, quarries and strip mines. 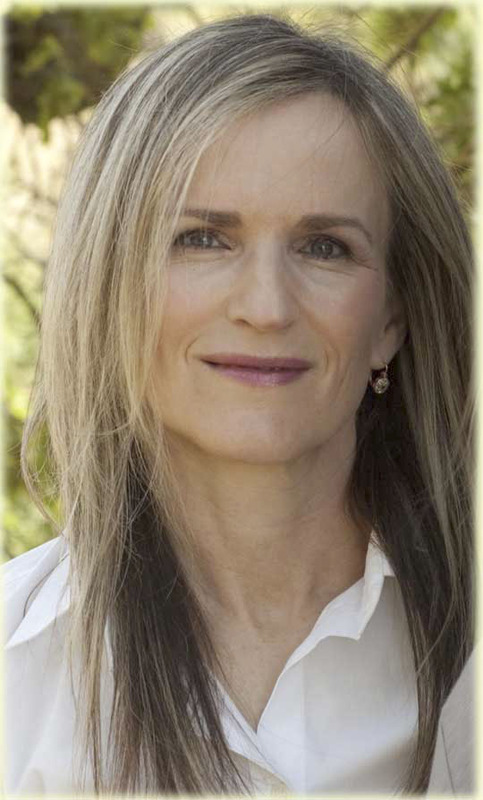 After earning a BA in English, she moved to northern California in 1979 to attend Stanford Law School. A decade of private practice gave way to a decade of advocacy for kids with autism. The year she turned 50, a class offered by a local bookstore inspired her to pick up the writing she had put aside for thirty years. She went back to school, earning an MFA in poetry from Warren Wilson in January 2010. 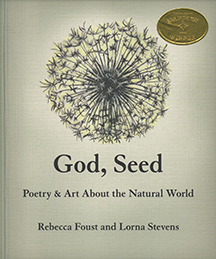 All That Gorgeous Pitiless Song won the Many Mountains Moving Book Prize and was released in 2010, the same year that God, Seed: Poetry & Art About the Natural World, won the Foreword Review Book of the Year Award for Poetry. 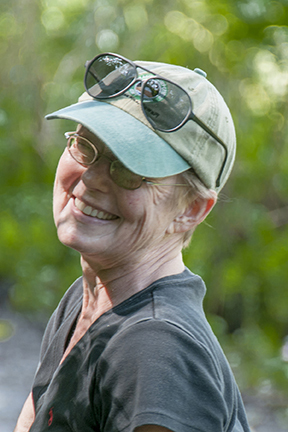 Mom’s Canoe and Dark Card, recipients of the Robert Phillips Chapbook Poetry Prize in consecutive years, were released by Texas Review Press in 2008 and 2009. 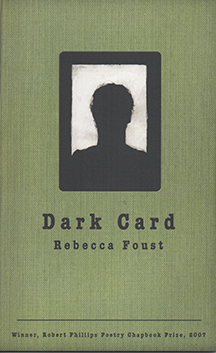 Foust is the 2014 Dartmouth Poet in Residence at the Frost Place and recipient of a MacDowell Colony residence award. 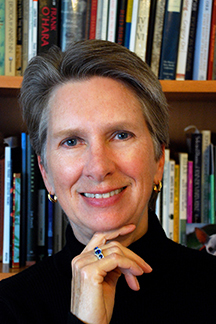 Her work appears widely in journals including The Hudson Review, North American Review, Massachusetts Review, Notre Dame Review, Sewanee Review, Smartish Pace, Woman’s Review of Books, Zyzzyva, and others, and has been featured on Poetry Daily, Verse Daily and in The South Carolina Review. Essays, book reviews and fiction are published in American Book Review, Calyx, Chautauqua Journal, Prairie Schooner,Rumpus Daily and elsewhere. 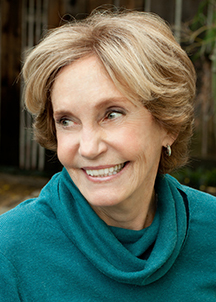 Besides writing, she teaches, organizes poetry events, reads for the Northern California Book Award, serves on the Board of the Marin Poetry Center, and works as an Assistant Editor in fiction for Narrative Magazine. 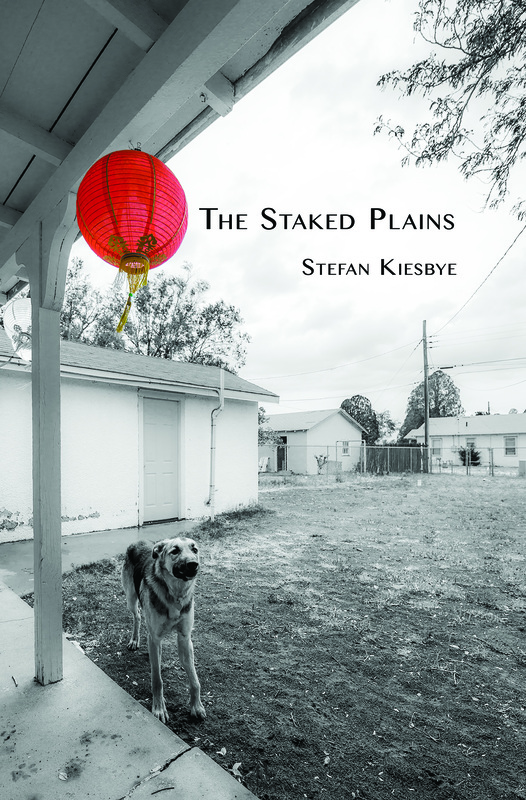 Stefan Kiesbye’s new novel, The Staked Plains, will be released this November by Saddle Road Press. He teaches creative writing at Sonoma State University. 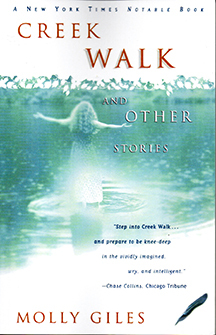 Kiesbye’s stories, poems and essays have appeared in numerous magazines and anthologies. 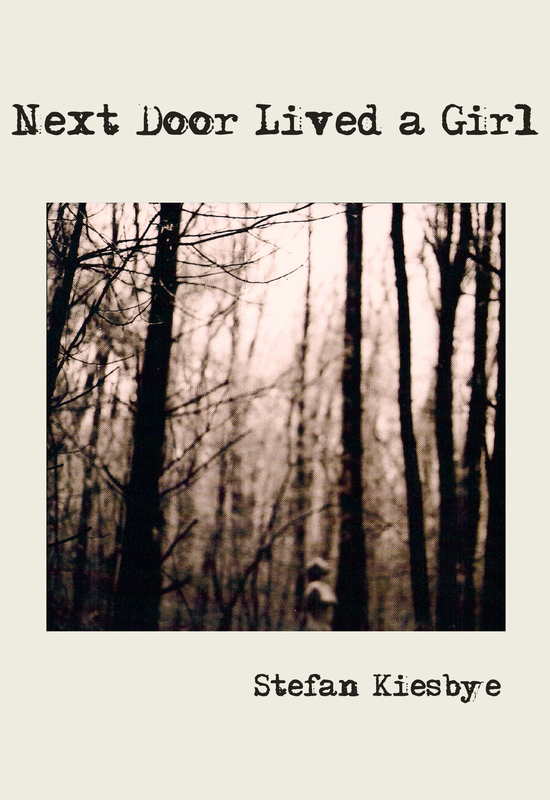 His first book, Next Door Lived a Girl, won the Low Fidelity Press Novella Award. It has been translated into Dutch, Spanish and Japanese. In Spring 2014, the literary thriller Messer, Gabel, Schere, Licht (Knife, Fork, Scissors, Flames) was published by Tropen Verlag/Klett-Cotta, Germany. Die Welt wrote that “Stefan Kiesbye…is the inventor of the modern German Gothic novel.” His LA Noir Fluchtpunkt Los “Angeles (Vanishing Point) was released by ars vivendi verlag in January 2015.